In order to learn more about the book and view additional images, please visit the Galleries section of this site. 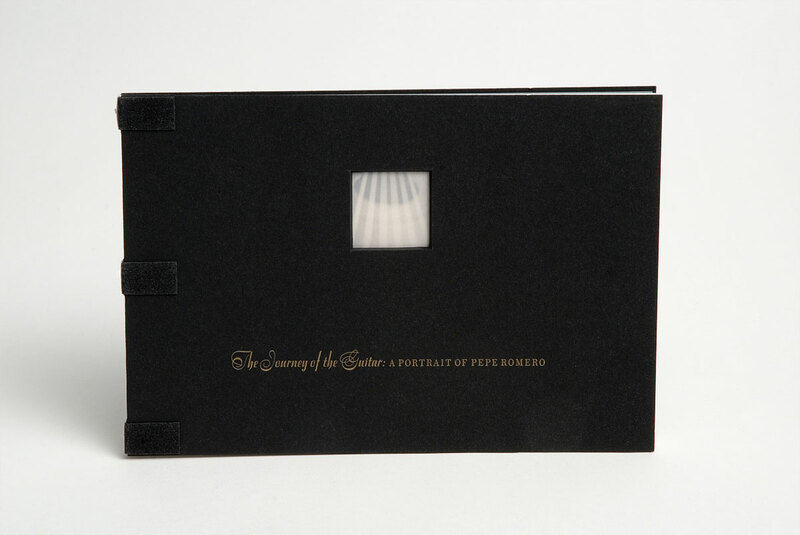 The initial offering of twelve copies of the silver edition sold out within twenty-four hours. The copy we are offering here is the special binder’s copy. 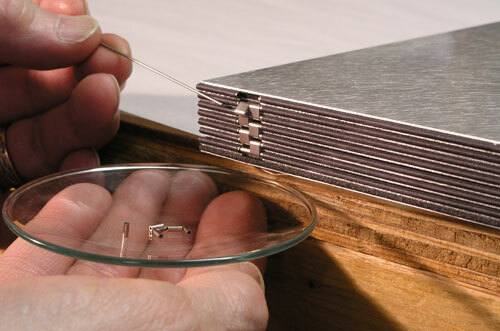 The massive 20 x 24-inch aluminum binding by Kelm represents a new standard of innovative design as each individual page is completely removable. 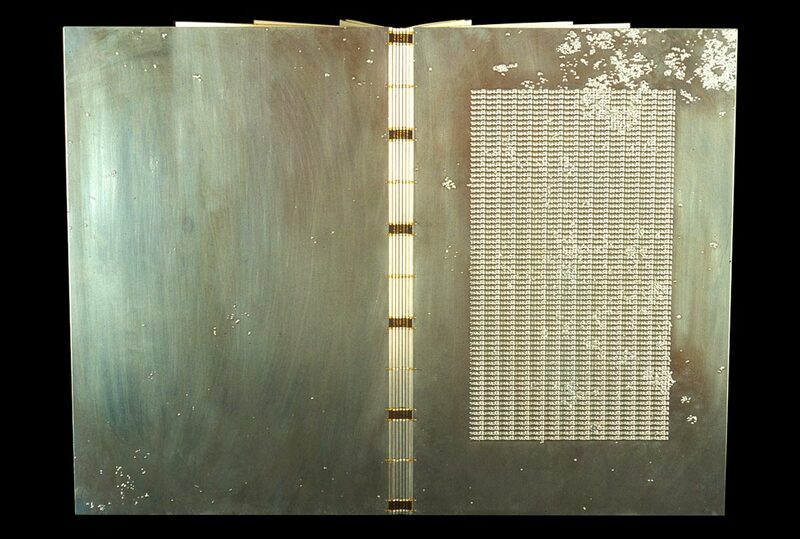 This allows the collector to frame any or all of the ten magnificent Uelsmann signed prints without compromising the integrity of the book’s unique structure. 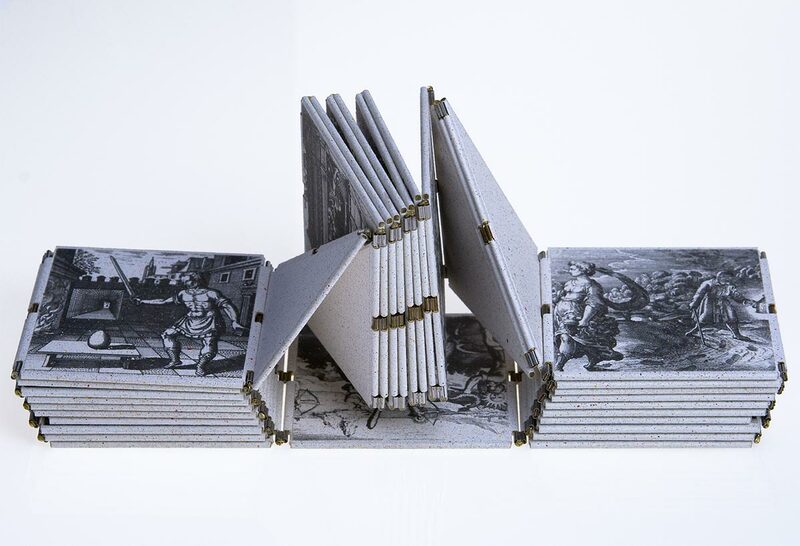 If you are curious to see the instructions for dismantling and reassembling the binding follow the link at the right to The Making of a Project and view image sets 10 and 11. Please contact Daniel Kelm if you are interested in seeing or purchasing Moth and Bonelight. 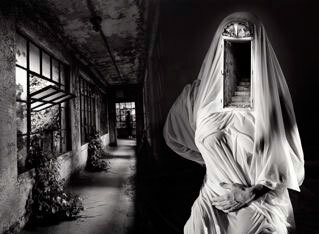 21st Editions spent three days with Jerry Uelsmann looking at over 3000 finished works. What emerged was a selection of ten exquisite photographs which Uelsmann painstakingly printed as original silver gelatin prints (16 x 20-inch). Please contact Daniel Kelm if you are interested in seeing or purchasing Neo Emblemata Nova. Detail of the half twist that creates the Möbius strip structure of Neo. Please contact Daniel Kelm if you are interested in seeing or purchasing The Golden Child. Distilled singular recollections, written in hard pencil so that they are barely visible, alternate with large gestural swaths of brilliant gold, creating a quiet rumination on love and the power of human relationships. In order to learn much more about the book and view additional images, please visit the Galleries section of this site. Please contact Robin Price if you are interested in seeing or purchasing 43, According the Robin Price, with Annotated Bibliography. Deluxe edition, with full leather enclosure. 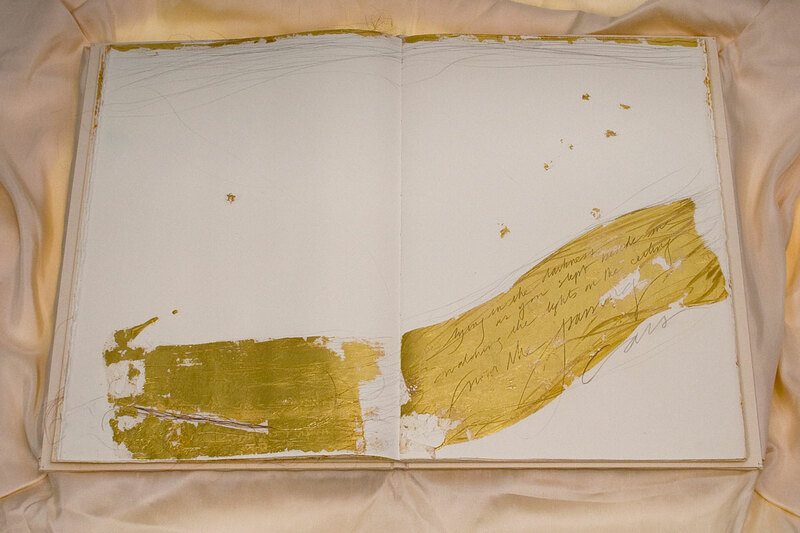 Unwrapping the book elicits a tumbling motion, mimicking the action of a river. 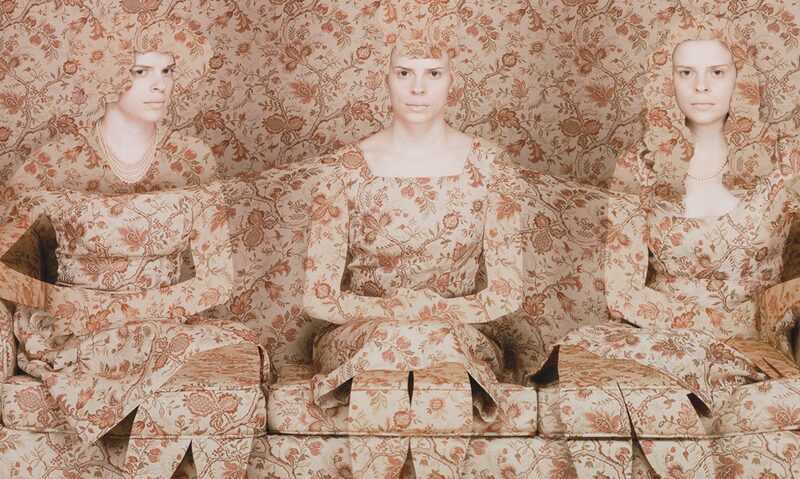 Please contact Greta Sibley if you are interested in seeing or purchasing Fine Wallpaper. 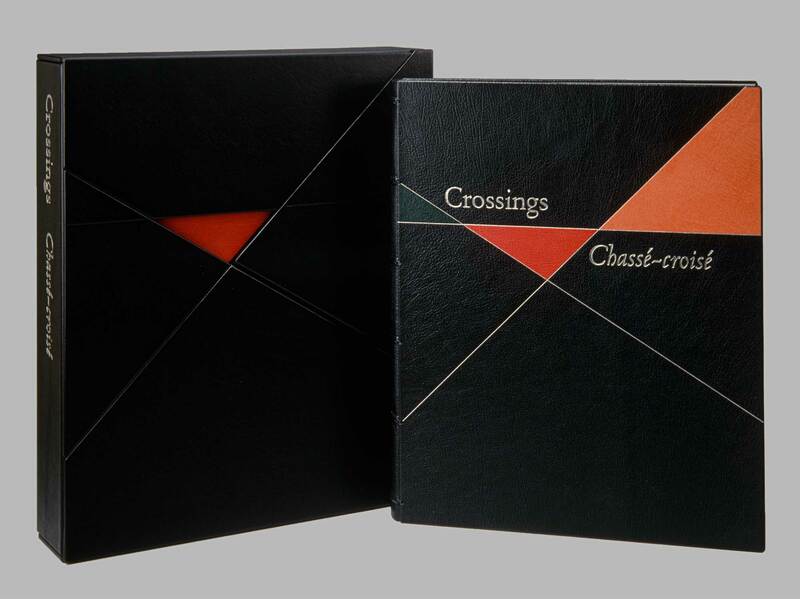 Please contact Peter Koch if you are interested in seeing or purchasing Crossings/Chassé-croisé. Here you see the drop-wall box and book side-by-side. The drop-wall box opens completely flat for an elegant presentation yet when the flaps are snapped back into place the box is sturdy and able to stand erect. 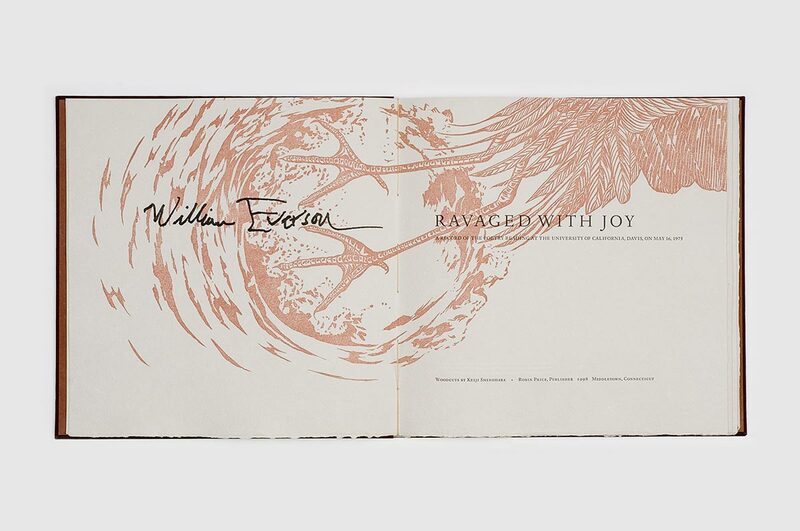 Please contact Robin Price if you are interested in seeing or purchasing Ravaged with Joy. 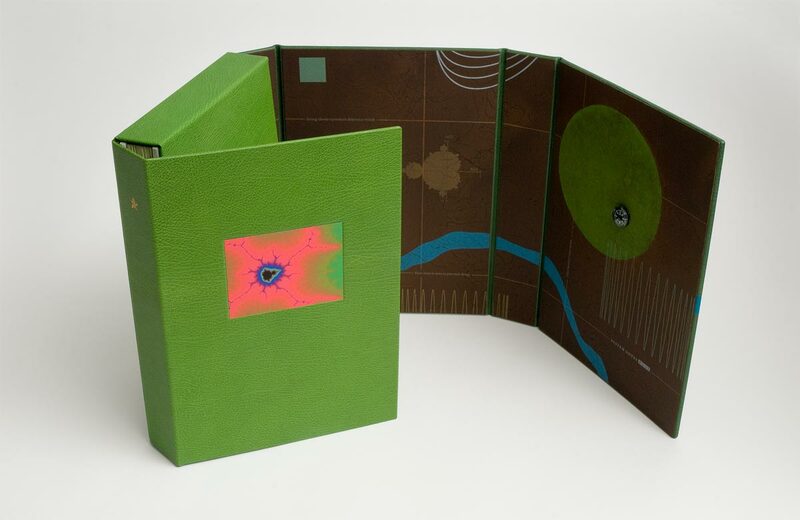 Please contact Peter Koch if you are interested in seeing or purchasing Ur-Text Volume III. A hyper-modernist edition of the concrete poem wordswords is Koch’s final disarticulation and ironically symbolizes the devaluation and loss of faith in the Word. Ur-Text is an extreme example of a metaphor and an icon of the book as object. Please contact Robin Price if you are interested in seeing or purchasing Journey of the Guitar. Classical and flamenco guitarist Pepe Romero reflects on his work in an intensely personal, poetic manner. His themes, articulated in both English and Spanish, transcend the boundaries of artistic medium and celebrate the entirety of the creative process.